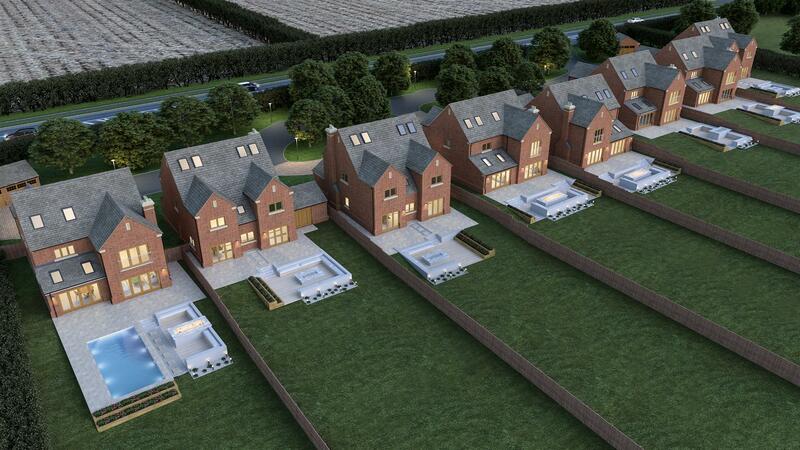 An exclusive gated development of just eight luxury five and six bedroom homes in Minsterworth with breathtaking countryside views. 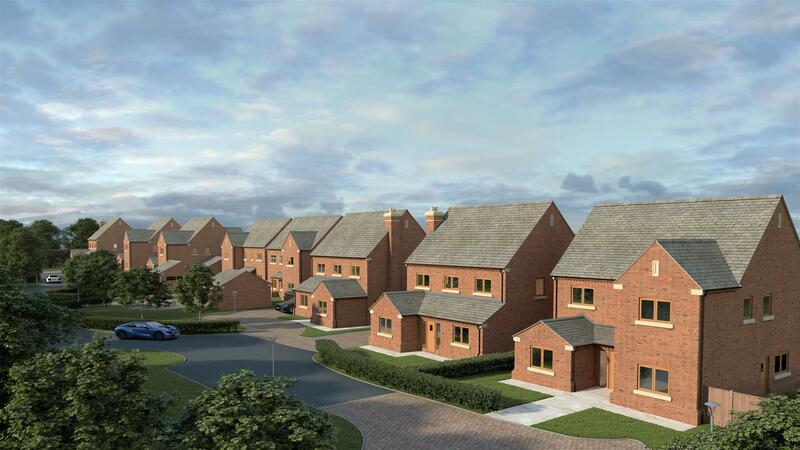 Each house benefits from fantastic living spaces and a high quality specification which has been carefully designed to deliver the very best in modern living. 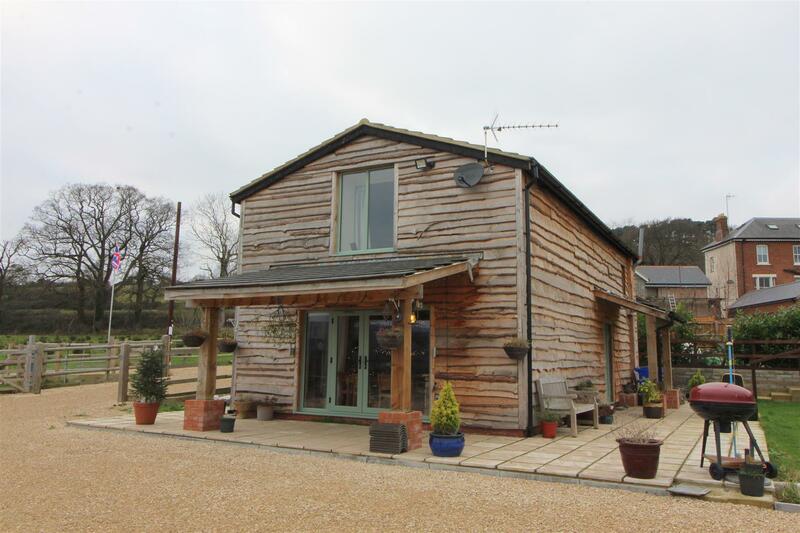 Country Living Close To The City - Minsterworth is located on the A48 with easy access to Gloucester, the River Severn is also just a short walk away. Minsterworth butchers is just down the road and also the Severn & Wye Smokery caf	, restaurant and foodstore with several pubs nearby including the Severn Bore Inn. There are plenty of ways to enjoy the countryside with numerous trails available at nearby Forest of Dean to experience either on foot, by bike or on horseback. Meanwhile, more conventional entertainment and shopping options can be found in Gloucester at the ever-expanding Gloucester Quays which is less than 5 miles away. 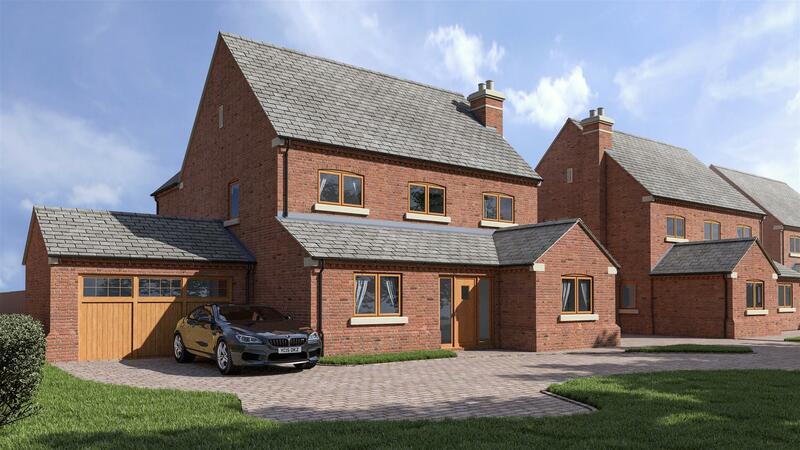 Executive Homes In The Heart Of The Country - There are three different housetypes available at Seven Acres each benefitting from fantastic living spaces and a high quality specification. 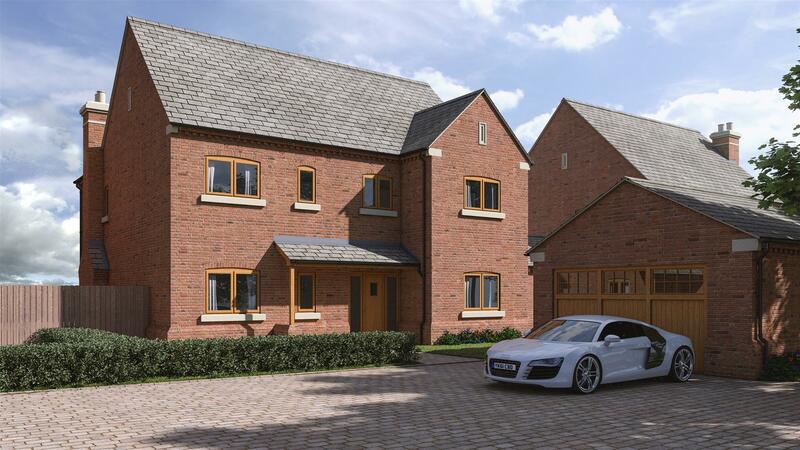 These homes have been individually designed using the combined expertise and experience of architects, interior designers, landscape designers and home technology specialists to deliver the very best in modern living. The homes here have been traditionally built using old style methods and features that reflect the local environment in conjunction with today's standards of efficiency and luxury. For your peace of mind, the properties also benefit from a 10-year warranty. 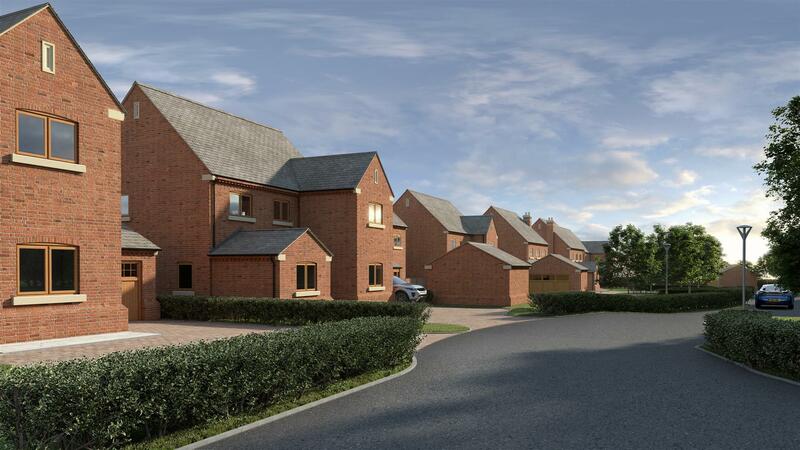 Modern features such as smart meters and superfast broadband capability are in place as standard plus secure gated access with CCTV and communal landscaping, street lighting, furniture and compost bins - all helping to give a community aspect to this private estate. 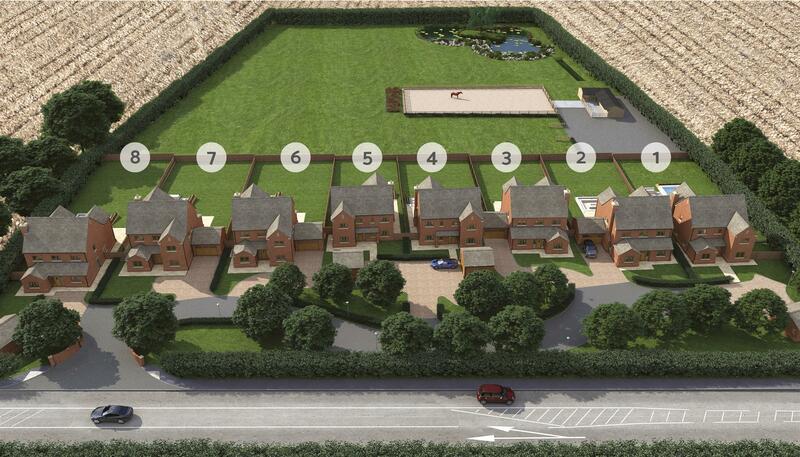 Plots 1, 6 & 7 - The stunning Montfort offers an impressive 3676 sq ft of living space. 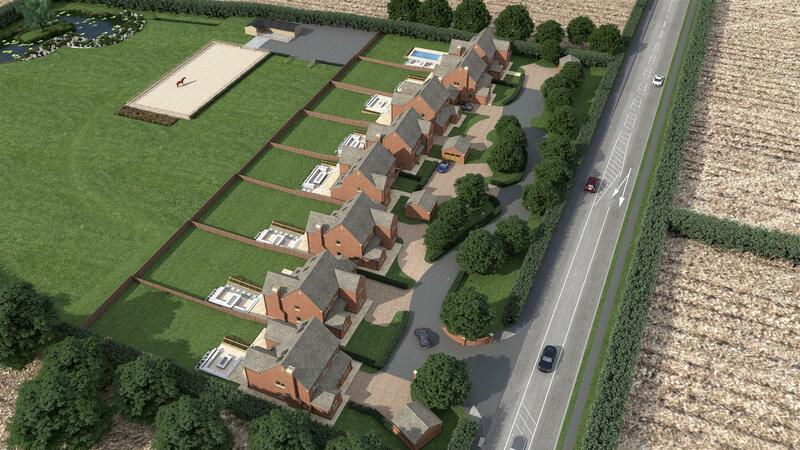 There's a large open plan kitchen/living room, dining room, study, snug, utility room and 5 double bedrooms. 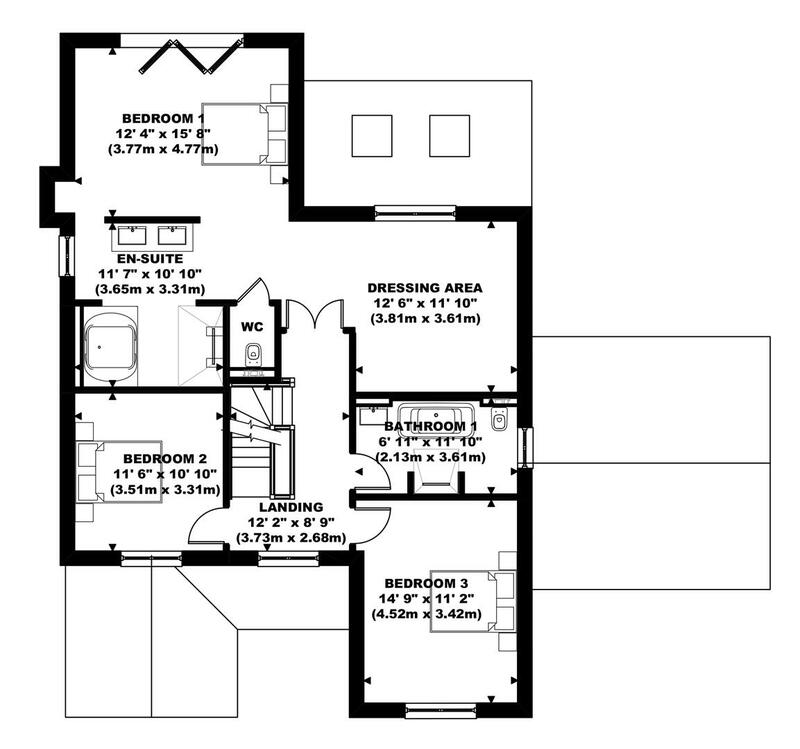 The boutique style master bedroom has an open plan en-suite and dressing room, whilst two further bedrooms feature an en-suite. The property also benefits from an attached double garage, off road parking and large enclosed rear garden. Entrance Hall - A spacious hallway with beautiful oak staircase to the first floor. W.C. - Hidden cisterns with floating toilets, floating sinks with chrome taps, chrome towel radiator, Travertine stone flooring tiles. Kitchen - 6.61 x 5.07 (21'8" x 16'7") - No expense has been spared on the handmade bespoke designed kitchen with Farrow & Ball painted units and a combination of granite stone and oak worktops with bespoke timber splash back designed to fit seamlessly with the kitchen. High quality Siemens WiFi Smart appliances include microwave, 6 ring gas hob, dual ovens, warming drawer, full height fridge and freezer, wine fridge and flush cooker hood with LED surround. Integrated Belfast sink with Michelle Roux taps providing instant hot water, Travertine stone flooring tiles, beautiful bespoke fitted bench seating with separate island seating. Special features include matching oak chopping boards, drawer inserts, integrated bin pull-outs, large pan drawers and chrome electrical fittings with usb charging points. 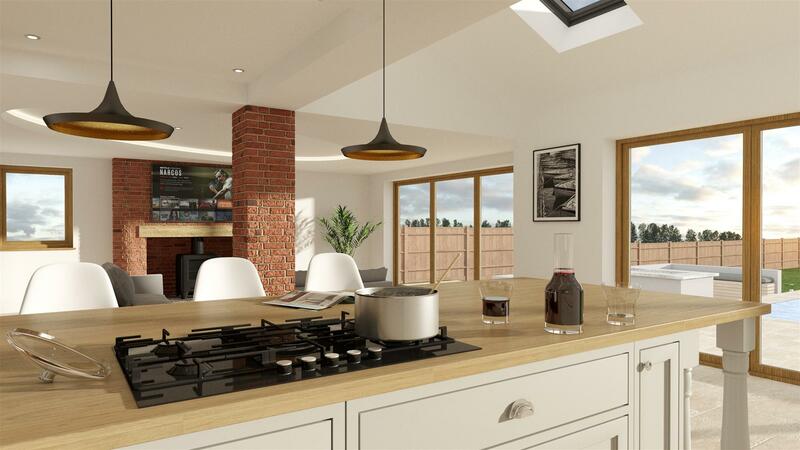 Additional detailing includes bespoke end panels providing a modern country style kitchen and LED strip lighting to all units. 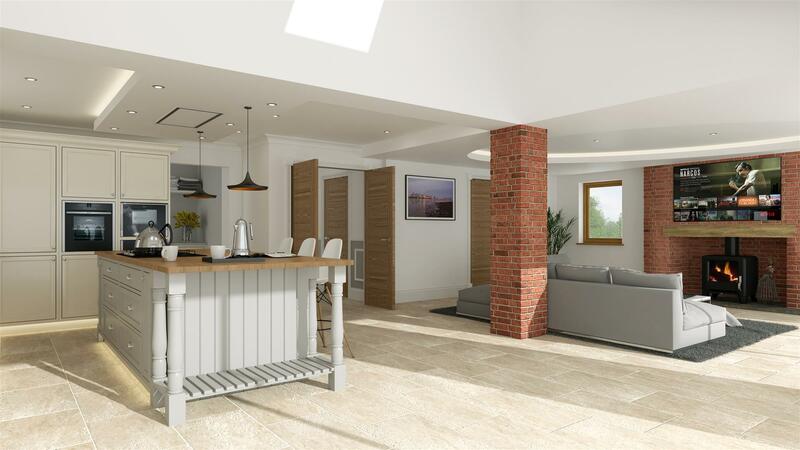 The room is open plan to the lounge with large aluminium bi-fold doors leading out on to the rear patio and garden. Dining Room - 4.36 x 3.31 (14'3" x 10'10") - Featuring Travertine stone flooring tiles and side aspect window. 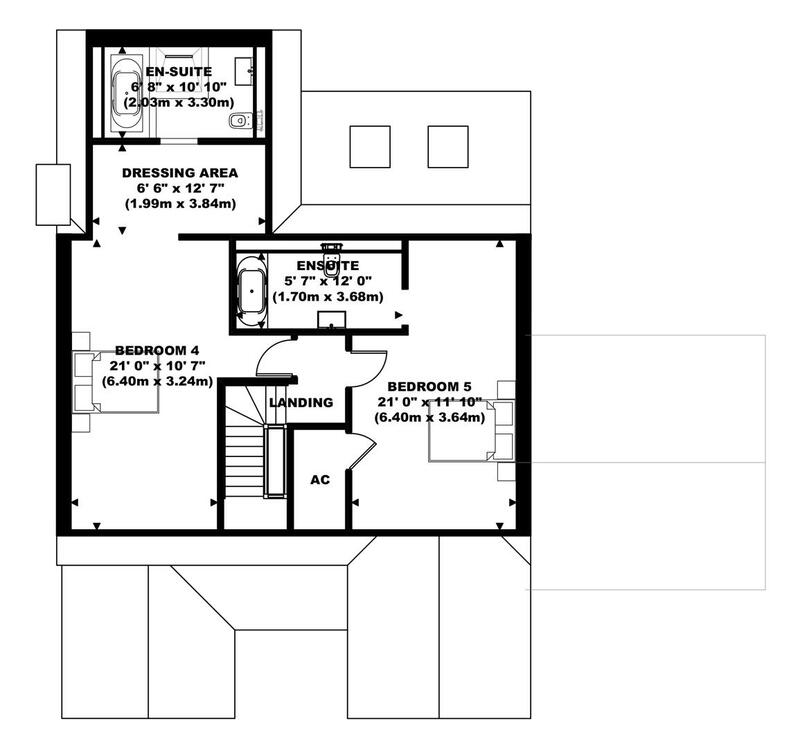 Study - 3.07 x 3.19 (10'0" x 10'5") - A useful extra room for home working featuring front aspect window. Cinema Room - 4.48 x 3.42 (14'8" x 11'2") - A wonderful room to watch movies in or as a kids playroom. 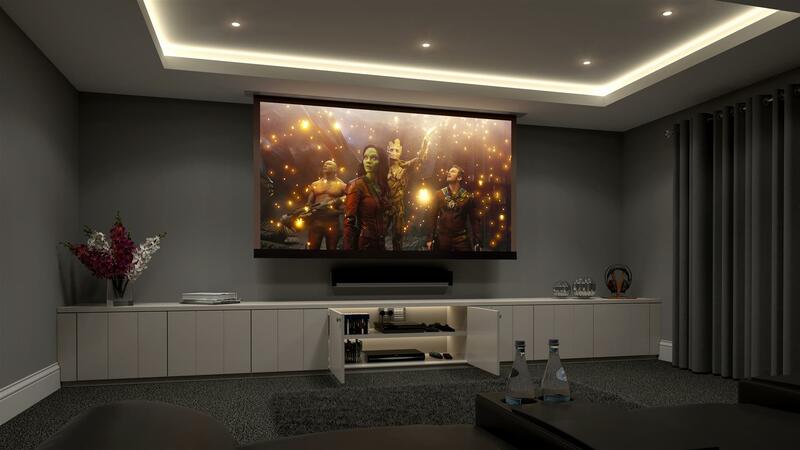 It features low level full width storage units for games and consoles, provision for cinema screen and projector, also wall-mounted TV and surround sound systems as desired, LED feature ceiling lighting, luxury carpets, front aspect window. Utility - 2.18 x 3.61 (7'1" x 11'10") - Cabinets and granite stone worktops to match the kitchen, Siemens WiFi Smart Home washing machine and tumble dryer, integrated Belfast sink, useful tiled wet area with handheld shower and drainage for cleaning muddy boots or pets after long countryside walk, bespoke coat and shoe store area with separate booths and feature lighting. 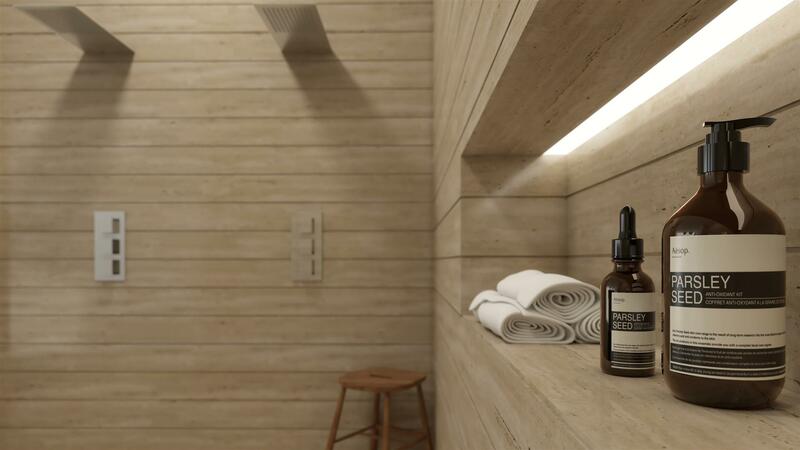 Travertine stone flooring tiles. Door into the attached garage. First Floor Landing - Luxury carpets. Dressing Area - 3.81 x 3.61 (12'5" x 11'10") - The perfect space for convenient storage of all your clothes and shoes. Rear aspect window. 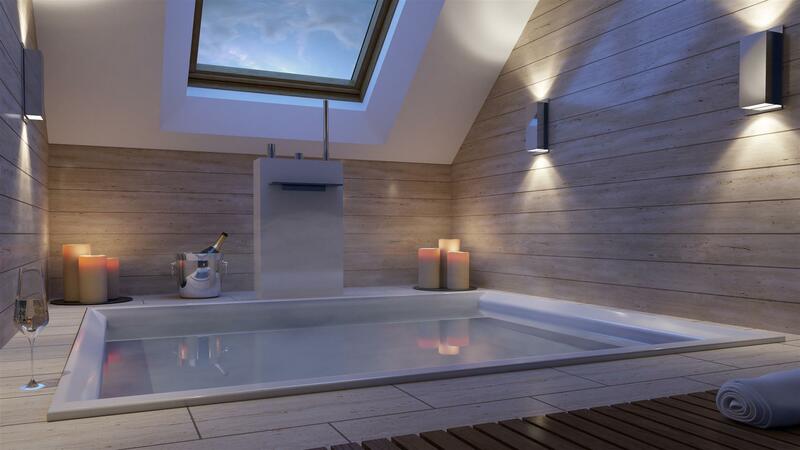 En-Suite - 3.65 x 3.31 (11'11" x 10'10") - An en-suite like no other! The open plan space features a Dual Milano rainfall shower raised into the ceiling with beautiful mirrored surround, enormous double bath sunken into the floor with modern wall mounted waterfall bath filler, custom built vanity unit with dual sinks and mirrors, floor tiles, alcove detailing to provide storage, subtle down lighting, separate enclosed cistern-less toilet and full height tiling throughout. Bedroom 2 - 3.51 x 3.31 (11'6" x 10'10") - A double bedroom featuring front aspect window, conveniently located chrome switches/sockets and luxury carpet flooring. Bedroom 3 - 4.52 x 3.42 (14'9" x 11'2") - A double bedroom featuring front aspect window, conveniently located chrome switches/sockets and luxury carpet flooring. Jack & Jill Bathroom - 2.13 x 3.61 (6'11" x 11'10") - Jack & Jill bathroom with door from both bedroom 3 and the landing. Featuring uniquely designed wet room style shower cubicle, separate bath, chrome taps and bath fillers, hidden cisterns with floating toilets, floating sinks, chrome towel radiators, huge mirrored walls, Travertine stone wall and floor tiles, side aspect obscured glazed window. Second Floor Landing - Luxury carpets. Dressing Area - 1.99 x 3.74 (6'6" x 12'3") - Convenient storage for clothes and shoes with luxury carpet flooring. En-Suite - 2.03 x 3.30 (6'7" x 10'9") - Uniquely designed wet room style shower cubicle, separate bath, chrome taps and bath fillers, hidden cisterns with floating toilets, floating sinks, chrome towel radiators, huge mirrored walls, marble wall and floor tiles, down lit modern storage. Bedroom 5 - 6.40 x 3.64 (20'11" x 11'11") - A spacious double bedroom with conveniently located chrome switches/sockets and luxury carpet flooring. Door into airing cupboard. En-Suite - 1.70 x 3.68 (5'6" x 12'0") - Uniquely designed wet room style shower cubicle, chrome taps, hidden cisterns with floating toilets, floating sinks, chrome towel radiators, white wall and floor tiles. 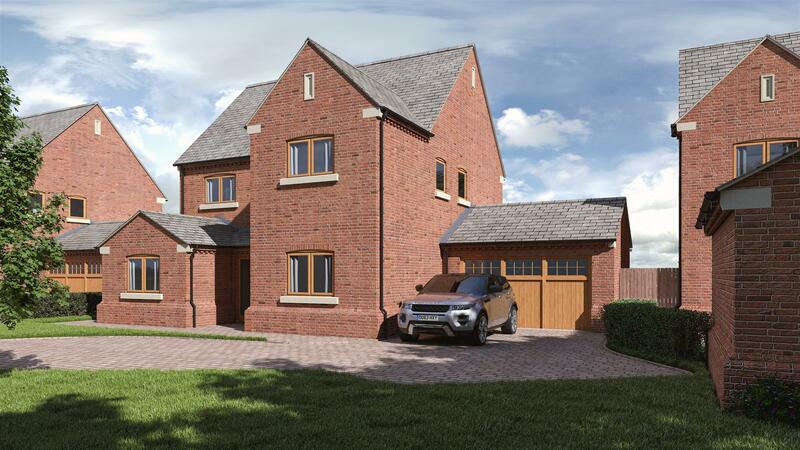 Outside - The large rear garden features breathtaking views over the surrounding countryside and give these homes a real wow factor. The sandstone paved outdoor entertainment area with gas fed fire pit, custom built seating and lighting is a wonderful space for outside dining with friends and family. The garden is laid to lawn and enclosed by fencing. Level threshold access into the garden can be gained via the bi-fold doors of the lounge and kitchen. To the front of the property is a block paved driveway for numerous vehicles with surrounding landscaping. Attached Double Garage - 5.37 x 5.16 (17'7" x 16'11") - Accessed via automated double garage doors. 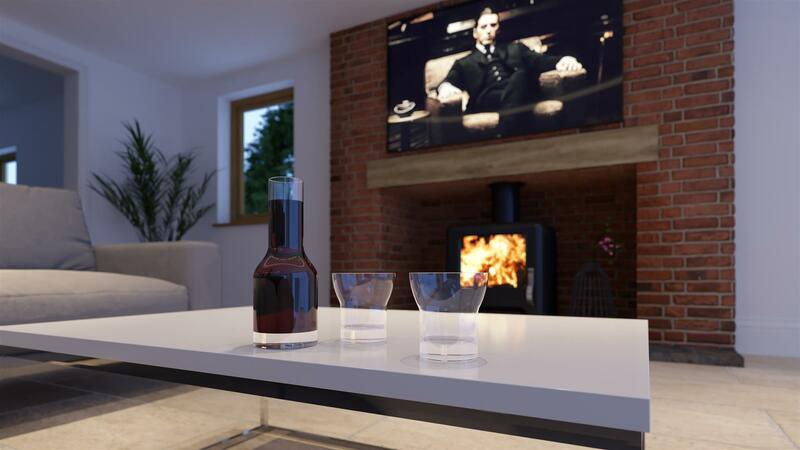 General Information About The Home - Throughout the property there is uPVC/aluminium golden oak with bronze double glazing, LED lighting and high quality oak doors. 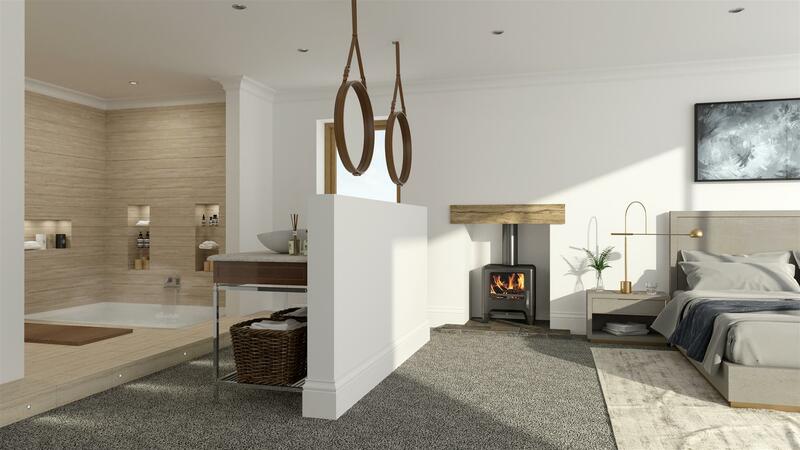 Heating is provided by a Worcester high efficiency boiler, linked to an underfloor heating system to ground floor and modern sleek radiators to upper floors. The heating is linked in zones, with future proofing to include smart systems and smart meters. The property has one of the fastest Superfast Broadband connection in Gloucestershire. 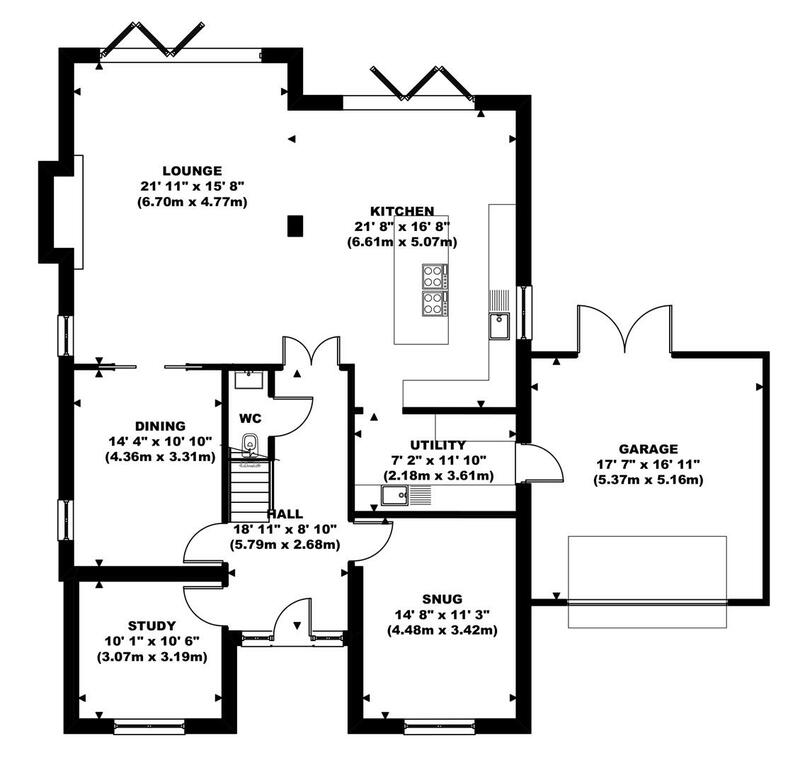 There is CAT 6 cabling to all bedrooms and living rooms as well as media plates to provide easy connection between tvs and media boxes. Security to your home and the private drive is provided via CCTV cameras to all corners of the property, these are linked back to the study of the homes. There are large automated gates to the front of the site and strong brick piers to provide a secure but beautiful entrance. Call controls to and from the gates allow owners to welcome guests as they please. The front door has a smart lock which allow access to the property via phones. Directions - From Gloucester proceed along the A48 into the village of Minsterworth where the property can be found on the right hand side.